Spend an evening learning from Aboriginal and Torres Strait Islander Christian leaders about the unique challenges facing Aboriginal women. Special guest speaker Andrea Mason – 2017 NT Australian of the Year and 2016 Telstra Australian Businesswoman of the Year – shares about her experiences as an Aboriginal Christian leader and gives insight into the challenges facing Aboriginal women in remote areas. 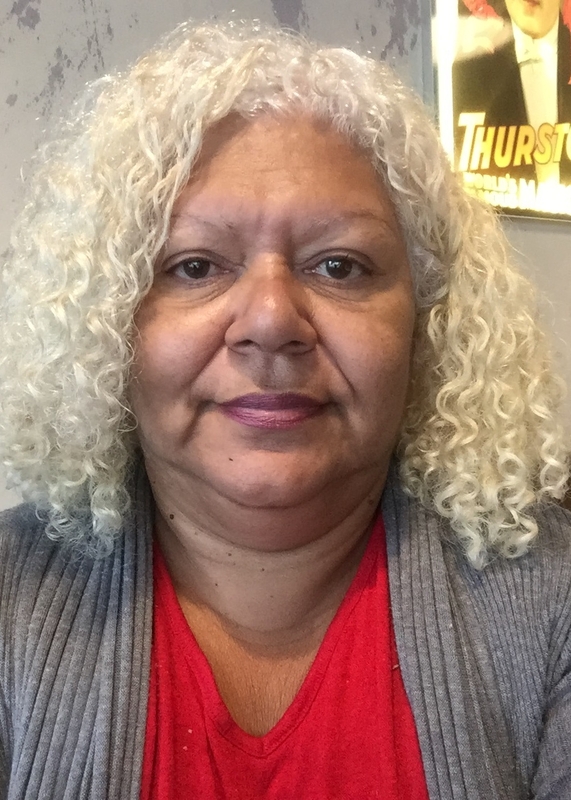 As Chief Executive Officer of Ngaanyatjarrra Pitjantjatjara Yankunytjatjara Women’s Council (NPYWC), Andrea will also speak about the council’s successful work to break the cycle of domestic violence and other challenges in remote communities. During an interactive Q&A panel session, Sharon Minniecon (Scarred Tree Indigenous Ministries, Glebe) and Kayleen Manton (Mt Druitt Indigenous Church) will share about ministry among their Aboriginal communities in greater Sydney. from the Australians Together website, so that you are ready to engage with our panellists. Ms Mason is the chief executive of the Ngaanyatjarra Pitjantjatjara Yankunytjatjara (NPY) Women's Council, which works across a 350,000 square kilometre area of Central Australia helping to empower women and their families. She is the 2017 NT Australian of the Year and the 2016 Telstra Australian Business Woman of the Year. Kayleen and her husband Rick have pastored the Mt Druitt Indigenous Church for 20 years. Kayleen serves in all ministry areas, but especially in pastoral care, visiting elders, supporting parents and children who are engaged with FACS, and leading youth group. She is a leader in the Aboriginal Evangelical Fellowship Women’s Fellowship. Kayleen originates from the Yarrabah aboriginal community in Far North Queensland, where she became a Christian under the ministry of Bishop Arthur Malcolm, the first Aboriginal Bishop in the Anglican Church in Australia. Kayleen has four grown children and two grandchildren. Sharon was born in Ayr, in far North Queensland, and her family comes from the Torres Strait (Ugar Island). Sharon and her husband Ray have pastored Aboriginal churches in Western Australia and New Sout Wales for the past 37 years. Sharon has ministered in La Perouse, Redfern and Glebe Aboriginal communities for 25 of those years, where her ministry has focussed on care for mothers and newborns in hospital, advocacy, pastoral care, housing support and care of mothers engaging with FACS. For 12 years Sharon and Ray had an important role advocating for and walking alongside stolen generation men who were raised in the Kinchella Boys home. They are currently supporting stolen generation adults who were taken as babies to the Bombaderry Children’s Home. Sharon has been a member of the Aboriginal Evangelical Fellowship Women’s Fellowship all her ministry life. She has three grown children and two grandchildren.